In normal times, Mark Carney’s tenure as governor of the Bank of England would be of little interest beyond British policy circles. Though the central bank’s role has evolved over its 322-year history, its fate does not depend on a single leader. But these are not normal times – and that is why Britain will be better off if the Canadian extends his term. The vote to leave the European Union has thrown long-established policies into flux. 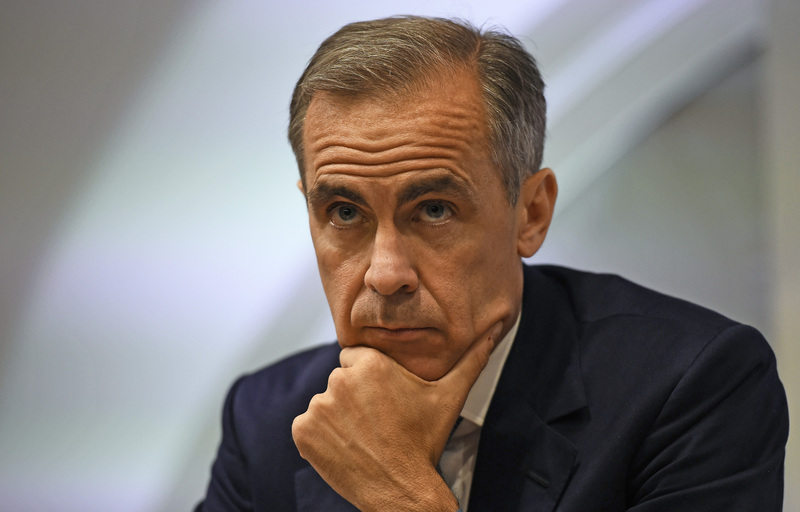 Perhaps inevitably, Carney has become a high-profile target for criticism. Those who backed Brexit accuse him of taking sides in the referendum by being too gloomy about Britain’s economic future outside the EU. More recently, prominent politicians have attacked the Bank of England’s policy of low interest rates and bond-buying, arguing that it benefits the wealthy and disadvantages savers. Even Prime Minister Theresa May weighed in, suggesting the government would intervene. Those criticisms are mostly wrong, and May’s comments owed more to a poorly drafted speech than a radical shift in thinking. Nevertheless, the furore has raised new doubts about the Bank of England’s freedom to set monetary policy – a privilege granted by the Labour government less than two decades ago. The debate about whether Carney should stay as governor has become a test of the central bank’s independence. The 51-year-old shares some responsibility for the confusion. He originally agreed to serve only five years, but then signalled last year he was open to staying on for the full eight-year term, which ends in 2021. His promise to announce a decision before the end of the year added further pressure. Even so, it would be bad news for Britain if he announced a decision to leave in mid-2018. Foreign investors would assume the Bank of England had been compromised. Carney’s eventual replacement would face a struggle to re-establish credibility. The central bank’s critics would be emboldened. Confidence in sterling and in Britain’s sovereign debt would suffer a further knock. It’s rarely a good idea to burden a single unelected official with so much power and responsibility. Like it or not, however, Carney’s tenure is now inextricably intertwined with the Bank of England’s independence – which is why the best outcome is that he decides to stay on. Bank of England Governor Mark Carney is leaning towards deciding to serve a full eight-year term, despite critics calling for him not to extend his time in charge of the British central bank, according to news reports. The Financial Times reported the Canadian, who joined the bank in 2013, was ready to serve a full eight-year term instead of five. The BBC also said people close to Carney believed he was leaning towards staying for eight years. Those reports contrasted with others in newspapers over the weekend that said Carney was more likely to announce that he would leave in 2018. The governor is expected to confer with Prime Minister Theresa May and Chancellor Philip Hammond before making a decision, the FT reported.